Etymology: Named for Mr. S. Gratrix of Manchester, England. 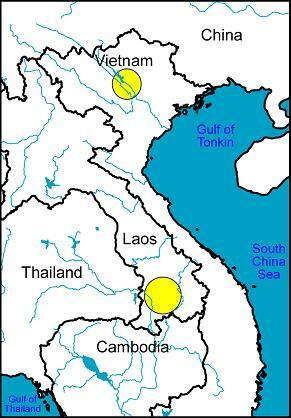 Water (D-drier, M-moderate, W-wetter) - from Averyanov, 2003: "They lack a dry period due to the constant formation of heavy clouds and mists during winter and early spring that is usually the dry season in northern Vietnam." From Christenson, 2004: "The plants that have been called P. gratrixianum consistently in botany (Seidenfaden, 1992) and in horticulture (Gruss, 1994) are correctly P. affine described by DeWildemann in 1906 based on plants thought to have come from Tonkin in Vietnam. In addition to having quite different leaf proportions, these two species differ in their overall stature and pigmentation of the leaves. In P. gratrixianum the inflorescences are about half the length of the distinctively long scapes of P. affine, a feature which is conspicuously dominant in the hybrids of the latter. 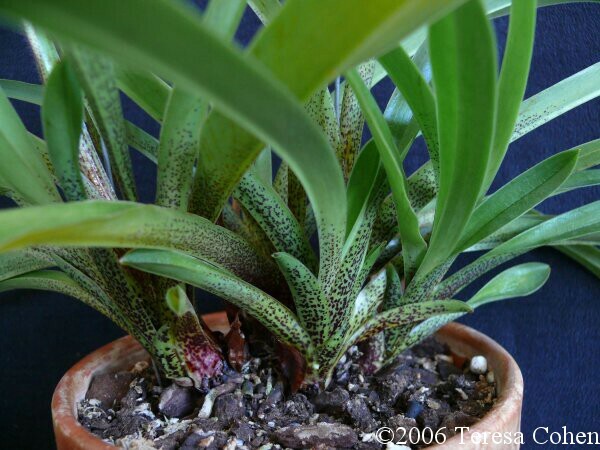 While both species have purple markings on the undersides of the leaves toward the base, the patterns are different. In P. gratrixianum the purple markings are distributed in a dense field of uniform marbling. 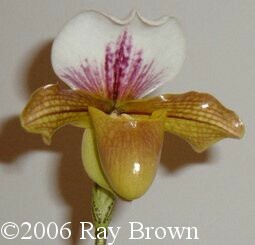 Paphiopedilum affine, in contrast, has a less dense, nonuniform field of pigment that is punctuated by conspicuous bold spots, spots which are totally absent from P. gratrixianum." Christenson, Eric A. 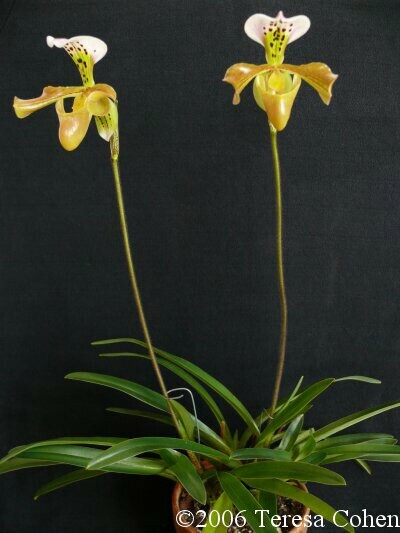 "The Rediscovery of Paphiopedilum Gratrixianum." Orchid Digest 68, no. 3 (Jul/Sep 2004): 146-147. Cox, A.V. et al. 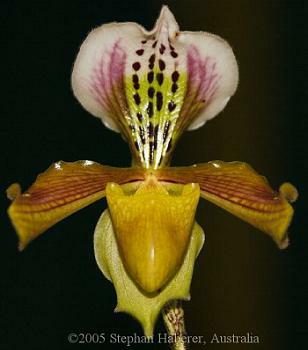 "Genome Size and Karyotype Evolution in the Slipper Orchids (Cypripedioideae: Orchidaceae)." American Journal of Botany 85, no. 5 (May 1998): 681-87.